W is sponsoring the Life Lab at Stylist Live this year, as the popular magazine returns for its second Festival of Inspiration at Londons Business Design Centre from 13-16 October 2016. Stylist Live will feature hundreds of inspiring talks, workshops and boutique pop-ups. We will be sponsoring the 'Life Lab' talks, as well as bringing the channel to life on a stand in the gallery. The Life Lab will feature talks including: how to make decisions with confidence, how to fail brilliantly, and how to be 25% more assertive, with high profile female celebrities from W shows set to appear on stage during the four-day event. Simply answer the question for a chance to win VIP tickets to Stylist Live 2016, as well as a one night stay in The Zetter Hotel in London! The Zetter Hotel is an award-winning hotel with bags of personality and pioneering eco-credentials. It's a contemporary, converted Victorian warehouse in Clerkenwell, just minutes from Farringdon Station and ideally situated between East London and the West End. There will be 3 prize winners (the Winners). The prize shall consist of 2 x VIP tickets for each winner to Stylist Live. Tickets to Stylist Live are available for the 13th, 14th, 15th and 16th of October 2016. The prize also includes a one night stay at the four star London hotel  The Zetter Hotel  Only available on Friday 14 October & subject to availability, breakfast is included and check in time is from 3pm and check out time is 12pm. The Zetter Hotel is only available on the 14th of October 2016, winners may stay overnight at the hotel on this date. 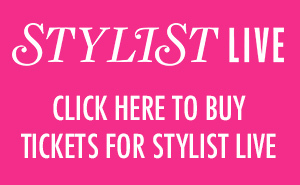 Tickets for Stylist Live are redeemable for one day only on the following dates 13th, 14th, 15th and 16th October 2016. The Competitions will be open between 8th September 2016 midday and 3rd October 2016 midday. Any entries received outside of the Competition Period (for whatever reason) will be invalid but you may still be charged for the entry where costs apply. The Winners will be the first 3 correct entries to be selected at random at the end of the Competition Period from all correct and eligible entries received. Winner selection by UKTV is final and no correspondence will be entered into whatsoever regarding Winner selection. The Winner must claim the Prize by successfully responding to the Promoters notification by email or telephone within 48 hours of the Promoters first notification being sent. Prize tickets for the event will be emailed to the Winners within 48 hours. You can enter this competition free of charge on the W website http://w.uktv.co.uk/w-and-stylist-live/competition/viptickets-comp/ as per the process described in section 2.